Stainless steel cylindrical head with Ø40 diameter for frontal mounting of glass-boards of 10mm to 22mm in thickness, without clamping plates, and adjustable spacers of 20, 30, 40 and 50mm. 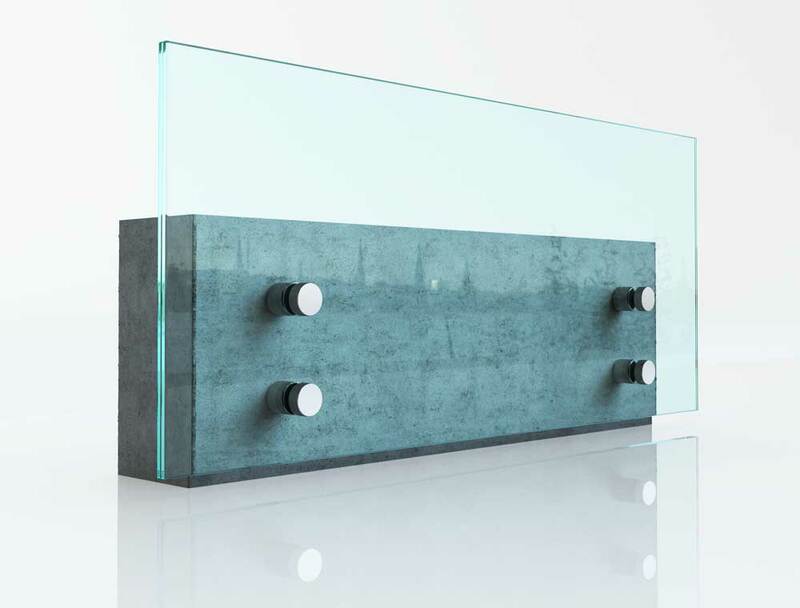 The devices are mounted on the front of the wall and their length can be adjusted by regulating the spacers to change the angle of the glass-board. The system uses tempered glass with holes, and is secured with transparent gaskets, while tightening is achieved with special notches on the regulators and a No18 wrench. Suitable for the formation of glass railing on balconies or wherever glass railings with frontal mounting is required. Contemporary design : The metal spacer is in accord with contemporary building aesthetic standards, offering a modern, elegant appearance.